Emma Irene Boardman was born January 17, 1889, in Great Barrington, Massachusetts. The 10th of 11 children in her family, she spent her childhood in Springfield, Massachusetts, and Nyack, New York, before graduating in 1915 with a BA from Smith College, where she was the first student to ever finish the 4-year program in 3 years. Having suffered from polio as a child, Boardman found her calling in relieving the pain of others. 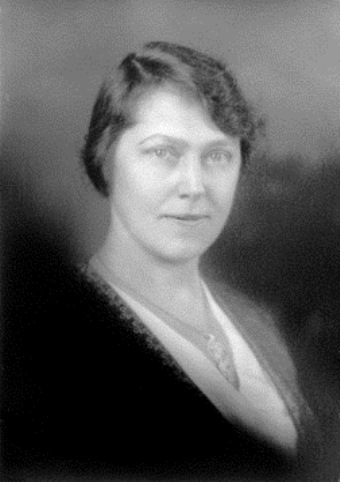 She graduated with an MD from Cornell Medical School in 1920 and practiced medicine in New Haven, where she served as a school physician from 1924-1953. In 1923, while a resident of New Haven, Boardman bought a summer home on Cook Road in Prospect. An episode that took place three years after her purchase reveals her intrepid nature. Arriving at the house with a carpenter who she had hired to perform repairs, Boardman discovered the home robbed and vandalized. After stepping outside to report her findings to the carpenter, she noticed that a cellar door, which was open only moments before, was closed. She followed footprints leading away from the cellar and soon was hot on the trail of the perpetrators. Stopping along her pursuit to call authorities and notify them of her circumstances, she was soon joined by police who found two armed youths, recently escaped from the Cheshire Reformatory, just a few hundred yards ahead of her. In 1936, Boardman made the house in Prospect her permanent home. She became a health officer in Prospect in 1944 and introduced the concept of planning and zoning to the town. She served as a regent of the Cheshire Daughters of the American Revolution as well as Director of Health and Medical Temperance for the Women’s Christian Temperance Union, all while being a wife and a mother to seven children. After Boardman’s retirement, the Department of Health for the City of New Haven cited her strict enforcement of health regulations in new housing developments as being one of the most important factors in eliminating diphtheria in the city. In 1979, the founding of the E. Irene Boardman Foundation allowed Boardman to further her work by providing education opportunities for women, greater funding for church and mission work, and increased awareness about the importance of public health and community improvement. Despite her death in 1980, Boardman’s activism lives on through her foundation. Among the foundation’s contributions was $70,000 donated to the town of Prospect for a new public library that town leaders officially dedicated on June 16, 1991. The community room in the library is named in Boardman’s honor and she received a place in the National Women’s Hall of Fame in 2007. “E.I. Boardman Foundation,” 2016. Link.